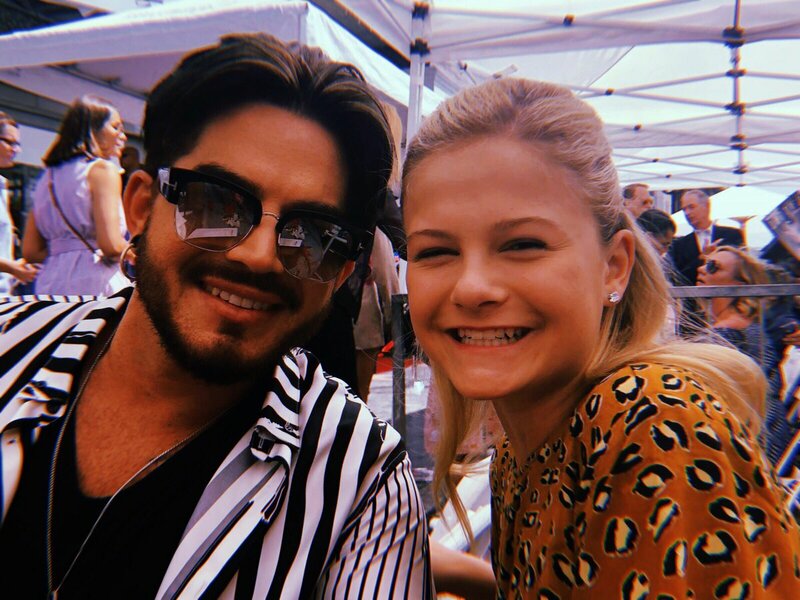 Adam Lambert Photo Tweeted By 2017 AGT Winner Darci Lynne: "#TBT Fun Times With Adam Lambert..At Simon Cowell's Hollywood Walk Of Fame Ceremony"
Darci Lynne Farmer is the winner of America's Got Talent in 2017, Season 12. She's an incredibly talented ventriloquist who won AGT at the age of 12! 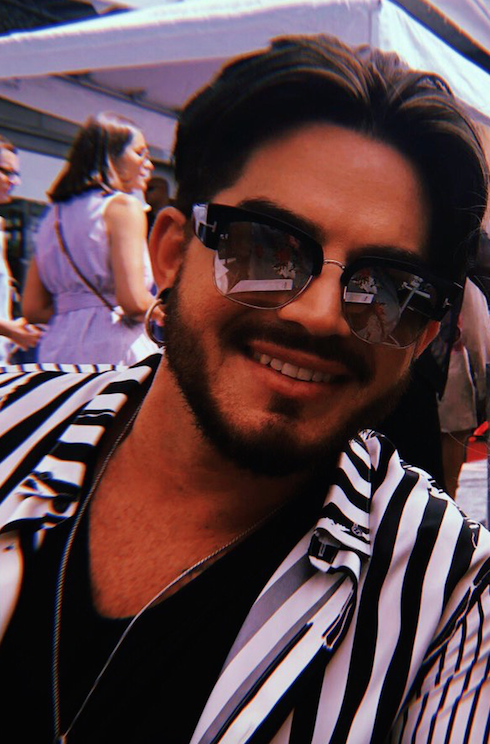 Simon Cowell is the creator & executive producer of the AGT franchise.. And of course Simon was a judge on Adam Lambert's American Idol Season 8 in 2009, as well as Katherine McPhee's Season 5 American Idol runner up win. Adam . . . looking Good! Love the picture of only Adam!!! Ah-h-h! A nice big smile! There's a pic on ADAM's IG from his Client mag shoot is sooo Gorgeous!! Now that's a pic that should be posted here but I don't know how to do it!! I don't watch AGT on a regular basis, but I didn't happen to catch Darci performing her act one time. She is unbelievably good! Haha....Dee R Gee... you're right, he's stuck with it...looking fabulous, that is! I watch AGT on occasion and on their finale night and did see this young lady win! She is very talented. Adam is just gorgeous!